Despite the unholy heat, AS THEY COME fans were restless. After all, most of them had contributed to the band’s presence at the festival, by voting in a contest promoted by Rock On Música music shop – the same shop that got a bus and organized a roadtrip from São João da Madeira to Casainhos. Singer Sick Danny even dedicated the song “Down With A Bottle” to the shop owner Vitinha, who was then carried by the crowd. Soon afterwards, that crowd would invade the stage to party up there with ASTHEY COME. The fest could have hardly begun in a better way. 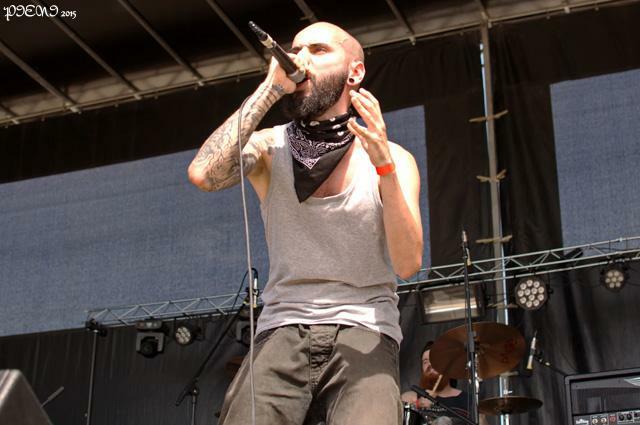 Gallery | This entry was posted in Concerts and tagged As They Come, Casainhos, Loures, metal festival, Portuguese underground, Southern rock, stoner. Bookmark the permalink.